In this section, you'll find product reviews for the best ant killers on the market in 2019. Ants are one of the most common types of pests that people suffer with. One day you’ll see a few and the next the kitchen is full of ants crawling all over your food. Some bite us and our pets and reduces our standard of living. For this reason, it’s essential to tackle the problem and find the best ant killer to improve your quality of life. Want to skip all this research and just hire a decent exterminator to kill your ants? Ants usually nest outside and enter the house when they’re searching for food. Sugar and grease ants are the main types that cause problems. Several species of ants fall into these broad categories based on their food preferences. Below we describe the best ant killers that are currently available to resolve your problem in both the short and long term. What Are Your Ant Killing Options? You have a variety of options available to you depending on your circumstances and the types of ants you have. Some use a bait that has a slow-acting insecticide. Baiting relies on their social nature to carry it back to their mound and poison the larvae and Queen. Other products, such as sprays, kill the ants on contact. Consider if you’re looking for a short or long-term solution before you choose the best ant killer for you. You can learn more about the behavior of ants and effective management here. Let’s have a look at how some of these products work and how they can benefit you. Ant traps are the containers the ant bait sits in. Most ant traps sold by retailers come with the trap pre-filled with baits. Some containers are clear and others are colored. We prefer clear containers so we can actually see if the bait is being eaten or not. 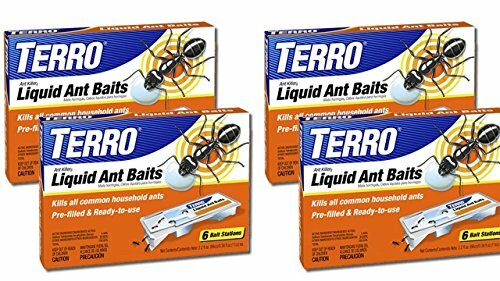 Most ant traps come with the bait in the package so you don't have to buy them separately. Ant sprays usually come as an aerosol that kills upon contact or acts as a repellent (or barrier in some cases). Aerosols contain potent insecticides and tend to have a more consistent effect. You can also make h﻿﻿﻿ome made ant sprays using things like vinegar or lemon juice, but they usually aren’t very effective. Gels come in a tube with a syringe to apply it into the holes and cracks where the ants enter your house. The gel contains an insecticide that’s spread throughout the colony after they come into contact with it. This works great inside the house and outside. The best ant traps mix a slow acting insecticide with something that is highly effective to attract the ants to it. They then take this back to their mound where it later infects and kills the others. Ant granules use baiting to attract and poison the ants in the mound. You can use these both indoors and outdoors, but you'll probably find granules are more for outdoor ant problems (backyard, garage, etc). They usually retain their insecticidal properties for several days after applying them. Ant traps are one of the easiest and most effective ant killing methods for getting rid of ants. Below are our top picks when it comes to these traps. 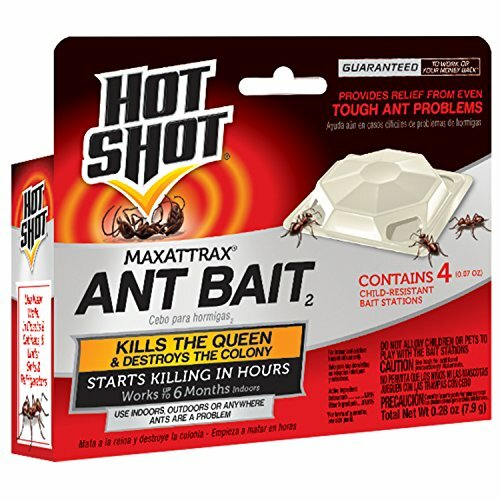 Why it's the best: Hot Shot uses a powerful attractant and you can start to see the results of ant trap within a week. The bait inside works for up to three months after you set it. 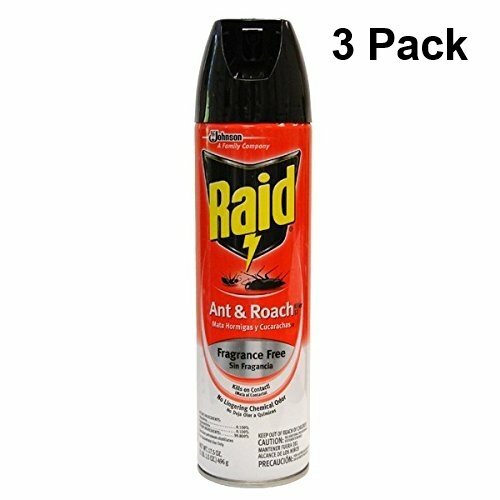 You can use this against most large infestations. Why it's the best: As opposed to other liquid bats, the Enforcer contains a solid bait held inside a clear plastic container (the trap) so it will not spill or fall out. The clear view bait container permits ‘at a glance’ views to monitor bait distribution. Easy to use and easy to set up as the container shape is designed to sit on flat surfaces. The trap does not require manual refilling and you can dispose them once they have been used up. What are ant traps good for? We like ant traps because they destroy the mound by taking advantage of the social nature of the pests and using this to eradicate the others. Traps tend to be reliable and work on a consistent basis and when the Queen dies, the colony usually follows shortly after. What are ant traps not good for? The main disadvantage is that traps is that they attract a lot of ants when you first start using it. This can lead to a larger problem and potential infestation in new areas of your house. As an alternative to the trap, ant sprays can provide for a "instant kill" satisfaction, some homeowners want and need when killing ants. Below are our top picks. Why it's the best: Raid is a powerful spray that kills on contact. You can use this indoors and it doesn’t leave any nasty odors after spraying it. This contains a powerful chemical that kills ants, roaches, and other pests. 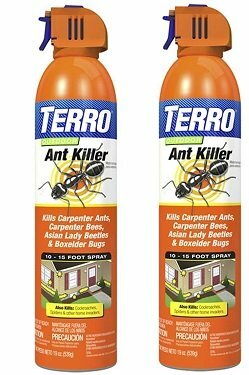 Why it's the best: You can use this aerosol both indoors and outdoors against a variety of ants and other bugs. This kills on contact and claims to have a residual repellent effect for up to six weeks after use. I'd put the TERRO brand slightly above the Raid brand due to the residual effect. What are ant sprays good for? Sprays should be your go to solution for ants that are causing you an immediate problem. This makes ant sprays a great tool to combine with other ants killers such as traps or gels in your battle against the pests. Some sprays instantly repel them and they stay away for several hours later. Others use a non-repellent insecticide that kills on contact similar to other baiting methods. Take a look at the video above to see how to apply ant spray to your home. What are ant sprays not good for? The sprays won’t kill your entire colony and aren't effective against large numbers of persistent ants. Another issue is that the chemicals can be harmful if you or your pets inhale them. It’s also not a great idea to spray near food as the particles may contaminate it. Unless the spray has non-repellent properties, it will just cause the ants to scatter and return later when the insecticide has diminished. Ant gels are another version of the ant traps usually in liquid form. These are potent killers you can place in the crevices around your home. See what are top picks were below. 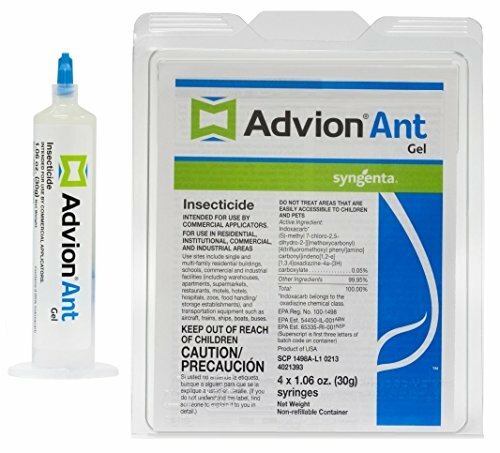 Why it's the best: Advion uses a sweet attractant to lure and later poison ants with a slow-acting insecticide. This works on a wide variety of species and is highly effective against sugar ants. The product has a shelf life of two years and you can use it both indoors and outdoors. Why it's the best: MAXFORCE contains several, ready-to-use gel baits that are easy to place wherever needed. This can be used either indoors or outdoors and put into the small cracks and holes around your house and garden. This has a residual poisonous effect for up to two weeks after use. What should you know about ant gels? The most important factor is to make sure that you use a bait in the trap that attracts your type of ant. Fire ants and carpenter ants sometimes require you to use a completely different type of bait in order to kill the colony. 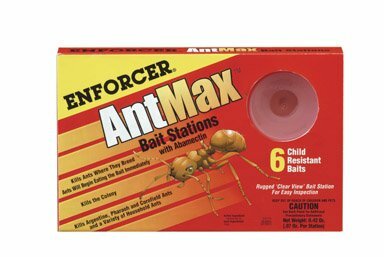 Another factor to keep in mind is that your bait needs to actually attract ants. Many ant killers simply do not attract ants, which of course, is a problem when trying to kill them. What are ant gels good for? Ant gel is great to cover up the holes and cracks that the ants use to enter and blocks them from coming inside. You can use gels in places that are difficult to reach or where other methods are impractical, such as on the ceiling. Most take advantage of baiting to spread the insecticide throughout the colony. In most cases, the gel can stay active for up to a month after you first apply it. What are ant gels not good for? Most gels are waterproof when they dry, but this may take a day or two making them vulnerable during rainy weather or in damp conditions. Some people also complain that when the gel dries, it loses its appeal to the ants. Granules are smell little pellets that can be broadcast throughout your lawn or placed inside ant traps around your house. Our top picks are listed below. Why it's the best: AMDRO ant granules are one of the most effective ant baits that exist on the market. 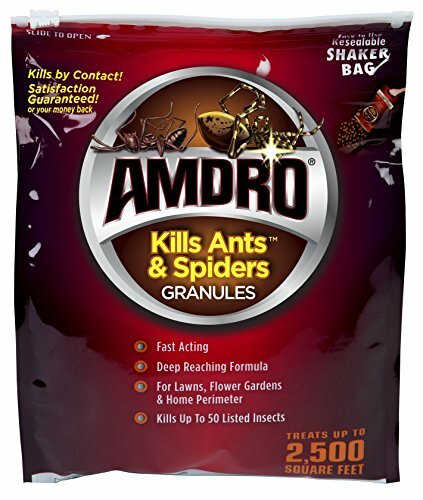 By tackling over 14 species of ants, AMDRO remains to be one of the top ant baits on the market. Click here for a full product review of AMDRO. 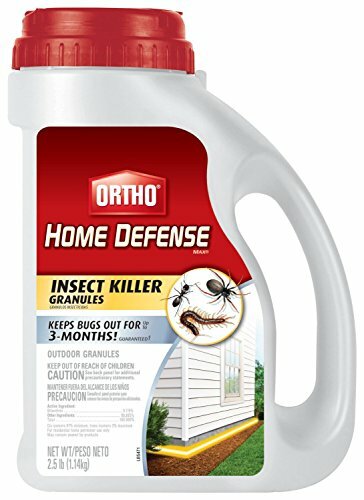 Why it's the best: Similar to AMDRO and Terro, Ortho sports a unique blend of ant killing chemicals needed to eradicate any infestation. 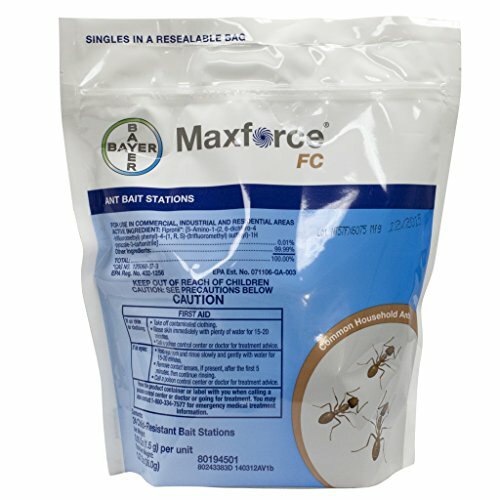 Ortho specifically makes various blends depending on the ant issues (e.g., carpenter ant formula, fire ant formula, etc). What are ant granules good for? Ant granules offer a long-term solution and are water resistant. This means that you rely on them to work outdoors in all weather conditions. Another great feature is that they’re safe to use around pets. What are ant granules not good for? Ant granules are large and may not be as versatile as other methods. This may result in the ants avoiding them and just going around the granules to find other sources of food. Another issue we have with granules is they require extra work before they can be effective. For example, you'll need to mow your lawn, spread the granules around your lawn using a broadcast spreader, then water them.